Last but not least our last Whimbrel KU decided to move south after staying at the Yellow Sea for 50 days! 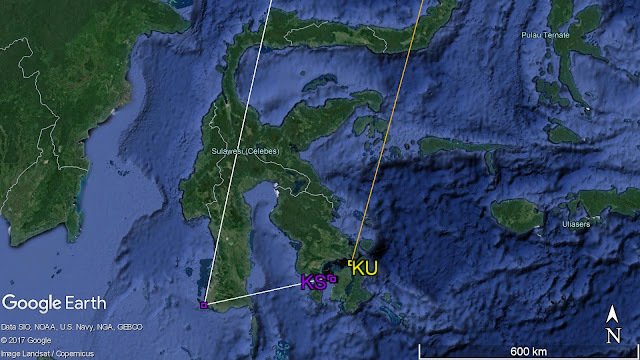 And even more interestingly it has decided to join KS in South East Sulawesi! 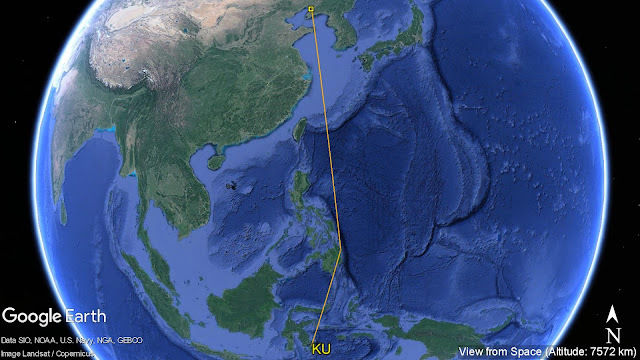 Very similar to KS on its southward migration, KU departed Yingkou in Liaoning Province at night on 24-Sep and flew continuously for 6 days to arrive at South East Sulawesi. 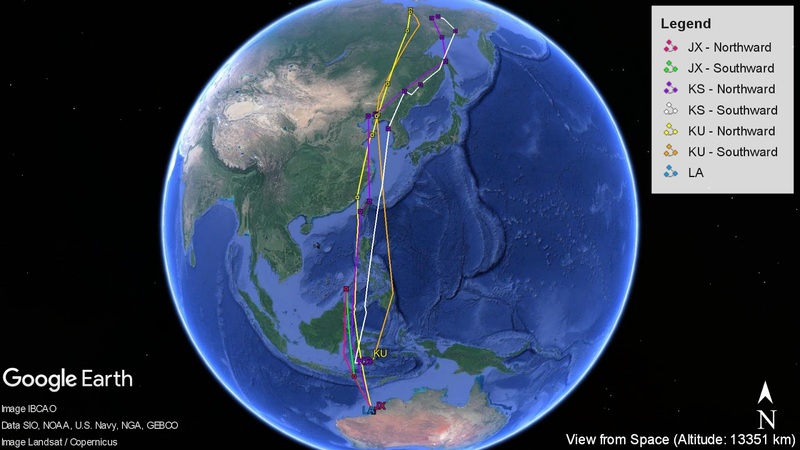 This 6-day flight covered a distance of 5,072km with an average speed of 35.2km/h. To our surprise, KU joined KS to stop-over in South-east Sulawesi, they are only 60km apart from each other at the moment! It is amazing to see these 2 birds once again utilizing similar stop-over sites. Earlier this year during the northward migration, these two birds were reunited in the Yellow Sea region in Panjin, Liaoning Province, sharing similar paddy field habitats just 50km apart from each other. Four and a half months later, after successful breeding in Siberia, they are reunited again in Sulawesi! We’ll now wait and see if they will depart on similar days to head back home. Very interesting knowledge thanks for sharing us with this.